John and I have just put the finishing touches on a couple of new tours and I think I would be remiss not to mention them here (I know you like to be informed, dear reader). 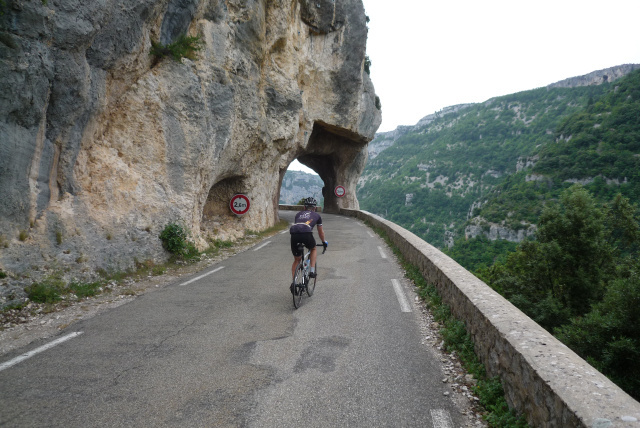 We’ve been getting lots of interest in supported Ventoux climbs early this year and many of the cyclists who’ve emailed have been interested in staying around a day or two in the area and exploring a bit after, or before, their ascent. 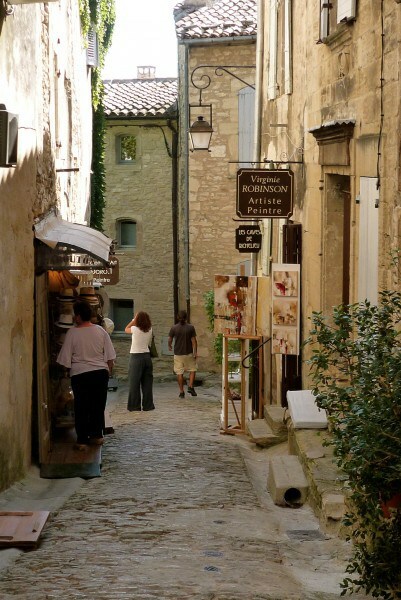 It makes sense; the area around Mont Ventoux is stunning. You’ve got the lovely Dentelles, for example. 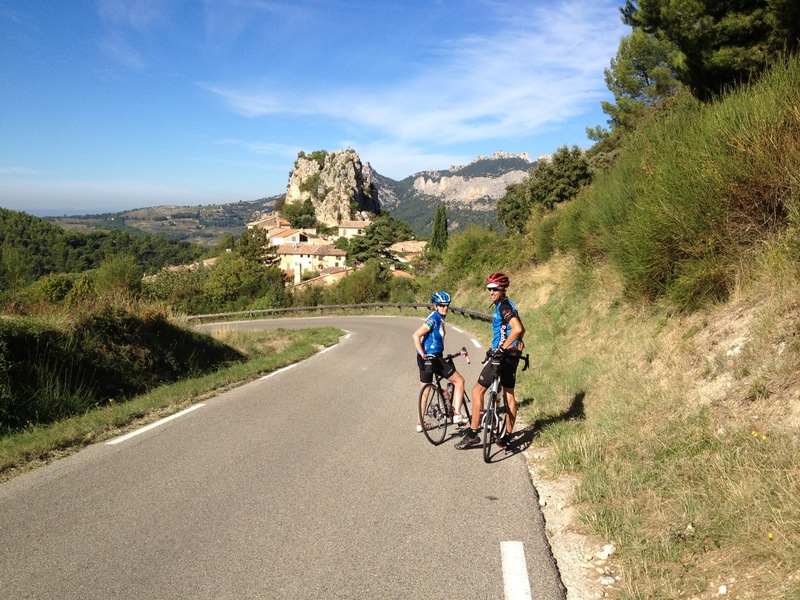 If you hit your timing right you can ride up the Gorges de la Nesque and into the lavender-carpeted valley below Sault. 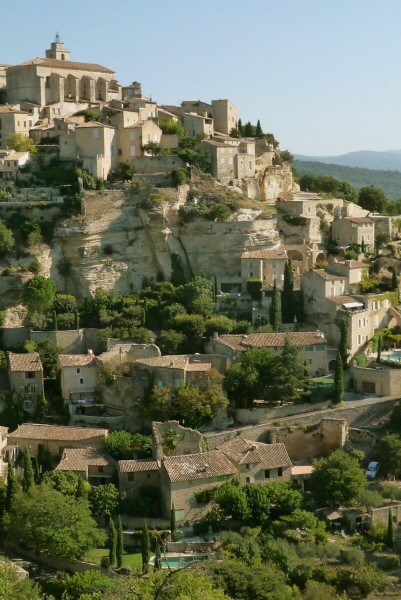 Even Peter Mayle’s Provence (Luberon) is within a day-ride, over the Vaucluse Mountains. 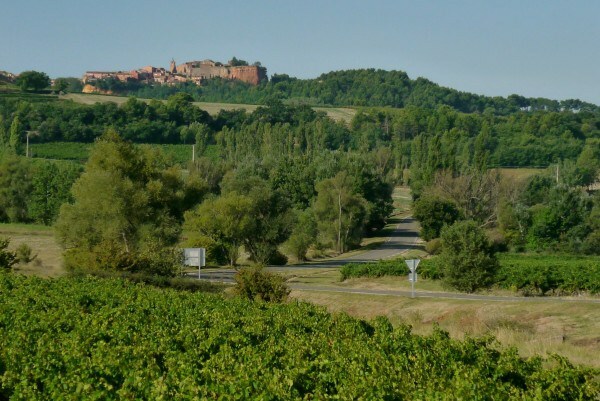 So, with this in mind, Cycling Languedoc has created a couple of ‘Ventoux Breakaway’ tours, offering a supported climb of Le Geant of course, carefully-chosen accommodation, plus another day or two of guided riding in the area. Sounds nice, doesn’t it? Oh yeah! I loved the Dentelles, Sault, and Gorges de la Nesque. There’s a really nice restaurant on top in the historic little village (forgot the name) where Shannon and I had a great lunch–the French way… Looking forward to our 4th trip there end of July! Wonderful to guide your clients there! I see that I didn’t really respond directly to you on this one. Here you go. Is it this one, Jan?